LAGOS, Nigeria (AP) — Glittering sapphire necklaces, designer suits against perfumed skin, the taste of freshly popped Champagne and the roar of a speeding Porsche: the five senses in Nigeria, brought to you by luxury brands now trying to tap directly into the country's market. The wealthy elite in Nigeria — upstart business owners, oil industry executives and corrupt politicians — have a healthy appetite for top-shelf brands, but have previously had to shop for them in Dubai, London and Paris. 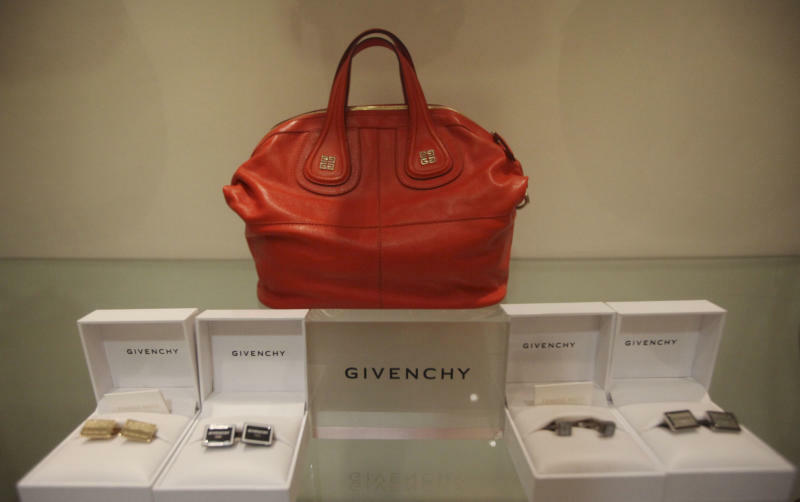 Now though, sellers of luxury goods are opening stores in Nigeria where seemingly gratuitous displays of wealth are the norm. "I feel that with some real infrastructure development and opportunity to create luxury environments for luxury brands to come in, this market has enormous potential to become a key luxury capital of Africa," said Ozwald Boateng, a top British fashion designer born to Ghanaian parents who recently showed a collection at Arise Magazine Fashion Week in Lagos. "I have some very good clients here but I want to have more," said Boateng, who has a flagship store on London's prestigious Savile Row, where bespoke suits start at around $6,500. Since independence in 1960, wealth flowed into Nigeria as crude oil pumped out. The OPEC nation's easily refined crude remains a top energy source for the U.S. However, politicians and military rulers squandered billions of dollars through the corruption choking the nation's potential. Then democracy took hold in 1999, and other industries have since developed in the country of 160 million, including banking and telecommunications. Billionaire Aliko Dangote, whose net worth is $11.2 billion according to Forbes magazine, built his empire on commodities like flour, sugar and cement. Another billionaire, Mike Adenuga, runs an oil company and Globacom Ltd., one of Nigeria's largest mobile phone service providers. Nigeria's commercial capital Lagos, along with four other of Africa's largest cities, will each have consumer spending of $25 billion or more by 2020, according to a McKinsey & Co. report. That's comparable to spending in India's business hub of Mumbai. That purchasing power is starting to draw new brands into Nigeria. Those include LVMH Moet Hennessy Louis Vuitton SA, one of the world's largest luxury brand groups; Amrapali Jewels Pvt. Ltd., which makes jewels for Hollywood and Bollywood stars; and Porsche AG. Those businesses often work with partners already established in Nigeria's difficult businesses environment, where there are no dedicated luxury shopping areas. Luxury companies can run small operations, get little competition and have markups that make the profits high. LVMH, the French luxury conglomerate, has doubled its marketing efforts in Nigeria to sell its top-shelf wines and liquors. The company also came out with a commemorative Hennessy cognac bottle in honor of Nigeria's 50th independence in 2010 — a sign of the country's value to the company. 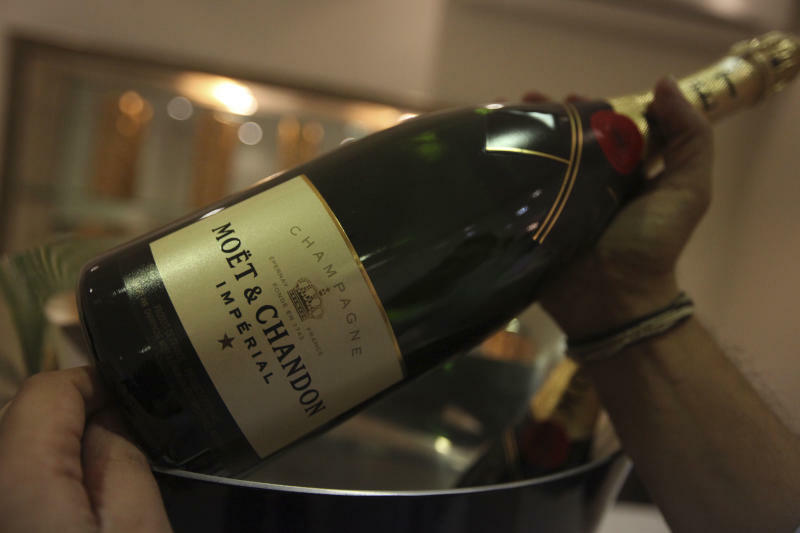 "Nigeria is the largest market in Africa and the Middle East for Moet Hennessy," said the company's Nigeria marketing manager, Tokini Peterside. "For Hennessy cognac, Nigeria ranks among the Top 10 consuming countries in the world." It's not just cognac that Nigerian top buyers want. Indian jewelers Amrapali sold a $37,000 necklace in Nigeria that set a diamond in 22-karat gold with blue, yellow and red sapphires and hope to sell others at the store they stock in Nigeria. "We've noticed that people are not afraid to wear bold things," said Sameer Lilani, a London-based representative for Amrapali. "It suits people here and it suits the climate. The delicate things didn't get such a good reaction." 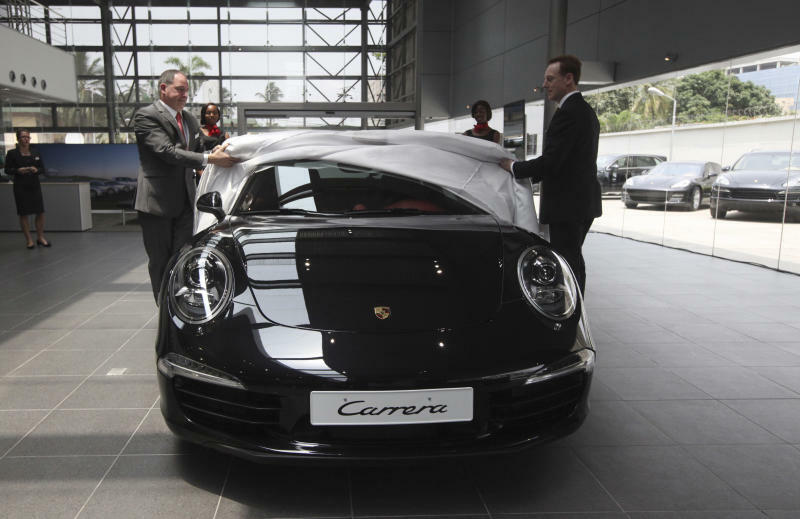 Sports car maker Porsche also recently opened a showroom on Lagos' Victoria Island, home to many company headquarters and homes for the nation's wealthiest citizens. The open-air showroom, visible from traffic on one of the island's busiest roads, prominently displays the new Porsche 911 Carrera S, starting from about $150,000. "In any project that we do, we look far beyond today," said George Wills, Porsche's managing director for the Middle East and Africa. "Whilst today the numbers may not be significant, what will happen with Porsche in the future as we produce new models, new derivatives, is that these will create bigger opportunities." Spending that much money on a Porsche that goes from zero to 60 miles per hour in four seconds may not make sense in the reality of Nigeria, where poorly maintained roads have axle-eating potholes. Such spending also draws criticism from social commentators, especially as a recent government report showed more than 100 million people in Nigeria live in poverty, subsisting on less than $2 a day. Yet the spending continues in a nation where the rich take out full-page newspaper advertisements to celebrate birthdays and bells ring and waiters light up sparklers when a table buys a bottle of Champagne. Many of those waiting the tables and hustling chewing gum in traffic hold out the belief, based on churches preaching financial prosperity, that they too will some day look out at the world from behind tinted glass. "There is a sense of opportunity here. People believe 'my turn will come,'" said Folarin Gbadebo-Smith, the director of the Centre for Public Policy Alternatives in Lagos. "Whereas in many other places there's that sense that where you find yourself in society could be permanent, here everybody is rich in waiting."